Prior to its decant for the Harris Academy rebuild, the school was used for many years as a polling station, serving a large part of the western part of the West End Ward. During the decant, the polling station moved across the road to the West Park Centre (the modern conference centre, not the main, older West Park mansion). I have been in contact with council officers in the past few months as the new school building reached completion about the long-term polling station arrangements. “Following a visit to Harris … we have decided that for all future planned elections we will continue to use West Park as due to the layout of the school using it as a polling place would cause disruption. I have welcomed progress towards finding a replacement polling station for the residents of the Cultural Quarter and the many University of Dundee students who live on the university campus, following the closure of the former Park Place Primary School. Park Place Primary School relocated last year to the new West End Primary Schools’ Campus as the newly named Victoria Park Primary School, where it is sited alongside St Joseph’s Primary School and Balgay Hill Nursery School. The nursery also moved from Park Place, but it was the former primary school building in Park Place that was used for many years as a polling station. When the school was relocated, this resulted in the need to look for a new polling station. The council is now looking at using Dundee University Students’ Association’s premises in Balfour Place, just off Old Hawkhill. I think this is a really good proposal, as it is close to residential housing in West Port, Palais Court, South Tay Street and surrounding streets but it is also in the heart of the university campus and I hope this will encourage a good turnout of students as well as local residents in future elections, including the European Parliament election and the Independence Referendum next year. Arising out of the recent consultation exercise, there have been some changes to polling stations in the West End (primarily in the east of the area) and the City Council has recently published a new map showing these. The boundaries of polling districts WBD, WBJ and WAJ have been re-aligned. 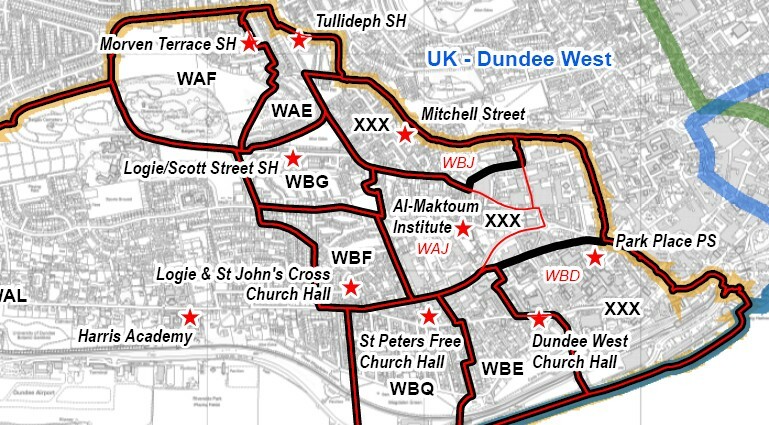 Electors in WBD (north of Hawkhill) who have previously voted at Park Place Primary will vote at the Al-Maktoum College in future, as will electors in the southern section of WBJ (Brewery Lane etc) who previously voted at the Mitchell Street Centre. You can download the map by going to http://tinyurl.com/wardmap2012. There will be a further change to polling stations after autumn of this year when the current Park Place Primary School moves to its new building. 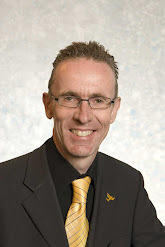 I have stressed to the City Council that there is a need to find a site for a new polling station within the Nethergate/South Tay Street/West Port and surrounding area that is convenient to residents in the area. I have made clear my view that once Park Place Primary School’s current premises are no longer available, it would be good to get a local facility such as DCA or the Bonar Hall for electors in the Nethergate/South Tay Street/West Port area. Officers may also consider the nearby Dundee House – it is not actually in the West End Ward, but close by. Comments are to be returned to the City Council by no later than the end of September and the final proposals will go before the City Council on 31st October in time for the publication of the new register on 1st December. Yesterday, along with other city councillors, I attended a very informative briefing on human trafficking and steps that are being taken to combat this extremely concerning matter. After two surgeries at the Mitchell Street Centre and Harris Academy, I attended City Council committee meetings at which I asked a question about Dundee population projections contained within a report on main issues facing the TAYplan strategic development planning authority, commented on and asked a question about the HMIe interim follow through inspection report on child protection services in the city, and sought assurances that the outcomes of a proposal to introduce an e-book and e-audio book service by the Leisure and Communities Department would be reported back to committee after a period in order that its success can be gauged. At the City Council meeting, the proposal to temporarily move the polling station for voters in the Tullideph area to Morven Terrace during renovation work on the Tullideph sheltered lounge (that I mention last week) was approved. I sought – and was given – assurances from the Chief Executive that the change of polling station would be well-publicised for residents in the area. “Following on from a Health and Safety Report and also an Accessibility Audit it was noted that there was some items at the complex which needed attention. As well as items in these reports it was also noted that users of the facility were having great difficulty accessing the rear patio area and even falling so it was agreed that we should upgrade the access to this area. We are forming a decking area with easy access to the patio and seating area so the clients can use this area during the better weather. The access to the front, which is on a slope, also proves difficult for some of the clients, particullarly anyone in a wheelchair. There is a door which is quite heavy and a wheelchair user had previously fallen from his chair whilst leaving the building. We are going to make level the access at the front of the building, make the threshold level and fit an automatic door. The fire exit to the side of the building also needed upgrading as this did not allow anyone in a wheelchair to use this exit if needed so this is being upgraded. We are also making one of the wc’s fully accessible for a wheelchair user. 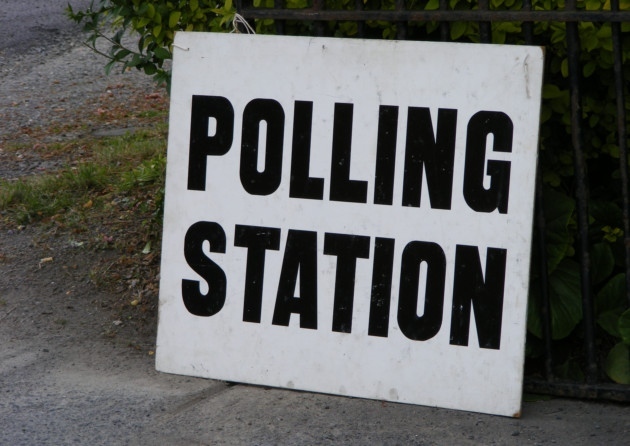 The City Council is undertaking a review of Polling Districts, Places and Stations at present and is currently seeking comments on the current arrangements. 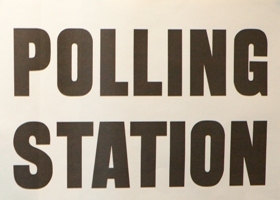 You can see the list of current polling stations at http://www.dundeecity.gov.uk/elections07/stations.htm and if you click the headline above, you can download existing ward maps. As there was a boundary review as recently as last year, I doubt there will be calls for dramatic changes. In the West End, the existing polling districts and 10 polling stations seem sensible. The only adverse comments I received during May’s election was some confusion about the new polling station at the Al-Maktoum Centre (serving part of my former Tay Bridges Ward and part of the former Logie Ward) and certainly a few people due to vote at the new polling station turned up at St Peter Street Church Hall on 3rd May (where they used to vote). Hopefully this teething problem introducing the new station will not occur again in the future. You can send comments on the City’s Polling Districts, Places and Stations to the City Council by 10th August – by e-mailing stuart.galloway@dundeecity.gov.uk.